Where do I begin...Well, I'll start by saying that this is my first John Green novel. Why? I don't know exactly. I own 2 other titles of his and I have heard countless amazing things about his writing, but yet, I still haven't gotten around to reading him. Then I received The Fault in Our Stars for review and wanted to review it in time for it's release date. What I was not expecting before reading this book was the utter beauty and raw emotion that was inside. The emotions that I felt during and after I read it. The Fault in Our Stars was a book that I could not put down, and I mean that quite literally. I. Couldn't. Put. It. Down. My eyes would be screaming at me to put it down and go to sleep but I just couldn't stop reading. I was completely engrossed by the novel. This review is being written a few days after I've finished it and I still can't quite put into words the reading experience I had. It was a lovely one, that's for sure, but I'm still left speechless and in awe. The characters that John Green created were unlike any I have ever come across. Hazel and Augustus were honest, bold and hilarious at times. The strength of this book was completely in the characters. The Storyline was fantastic as well, but it wouldn't have been the same without Hazel, Augustus and even Isaac. I am fighting the urge to just gush to you about how much and why I loved this book, but I truly think this book should be discovered on your own. All I knew going into this book was the premise, and I am so thankful for that. What a privilege it was to unwrap this book page by page without knowing anything ahead of time. I would love to pass the same experience along to you! I can't urge you enough to go out and this book...Now! And be sure to keep the tissue close by, because boy, you will need them! Last Impression: Raw, honest, and one heck of a book! I've not read anything by him, but your fabulous review definitely makes me want to pick this book up and read it. Like right now. This was my first John Green novel as well and I just loved it. It was one of those amazing books that makes you laugh and cry - often within the same page. I think you sum it up perfectly! Especially when you describe it as honest. There is no better adjective for this book. This sounds really amazing and I love Green's ability to create quirky, unique and entirely captivating characters. Definitely putting this one on my must read list! Sounds incredible! I hope I win it from your contest! ;) --I love your exciting and warm review. 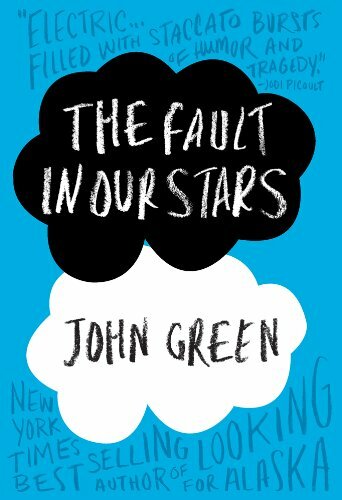 This is my favorite novel that John Green has written. It is filled with emotions that can be felt in the different ways in which they are portrayed. John Green shows the, in a sense, rawness of what can be felt when life throws one a situation in which death seems inevitable.